Obituary for Jaden M. Harmon | Beach Funeral & Cremation Services, Inc.
Jaden Michael Harmon saw his sunrise March 17, 2004, and his sunset March 27, 2019. He was 15 years old. Jaden was the apple of his mother’s eye. His father often teased him saying, “You know you are my love child.” His gleaming smile left a lasting impression on all those that loved and adored him. His smile spoke to all of us in a special way. 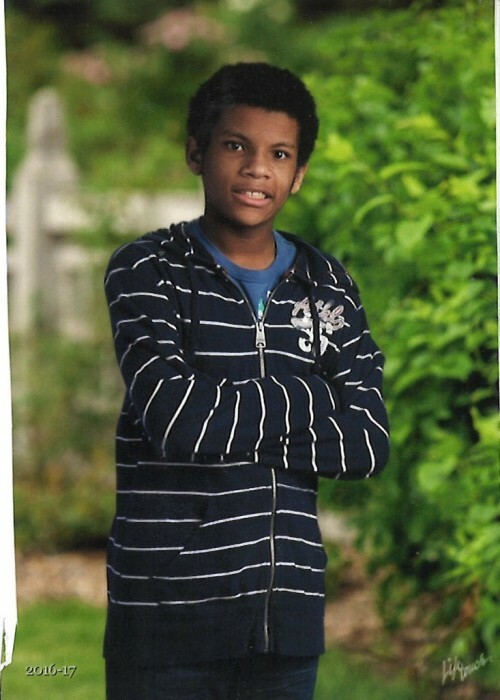 Jaden attended Alanton Elementary School and transitioned to Lynnhaven Middle School where he achieved the 8th grade. After that, his mother home schooled him for a year. Jaden’s favorite subject was science. However, he enjoyed all subjects. We knew him as an avid video gamer. He loved to play with everyone who wanted to play his games with him, especially his sister and brother. He also loved the beach and spending time with his family vacationing in the Outer Banks of North Carolina on his birthday. He is survived by his parents, Holly and Michael Harmon; his sister, Neena Felice Ford; his brother, Mykal Dejour Harmon; his maternal grandmother, Muriel J. Ford; his paternal grandparents, Sonia E. Perkins and Moses E. Perkins, four aunts, four uncles, and a host of cousins and friends. Remembrances may be made in the form desired by friends. The family suggests sending memorial gifts for our beloved Jaden to Muriel J. Ford, 722 Cambridge Dr., Virginia Beach, VA 23454.